The Danish design movement was alive and very well in the decades before its acknowledged reign of supremacy. Jason Mowen highlights a few of its leading lights and their star pieces. 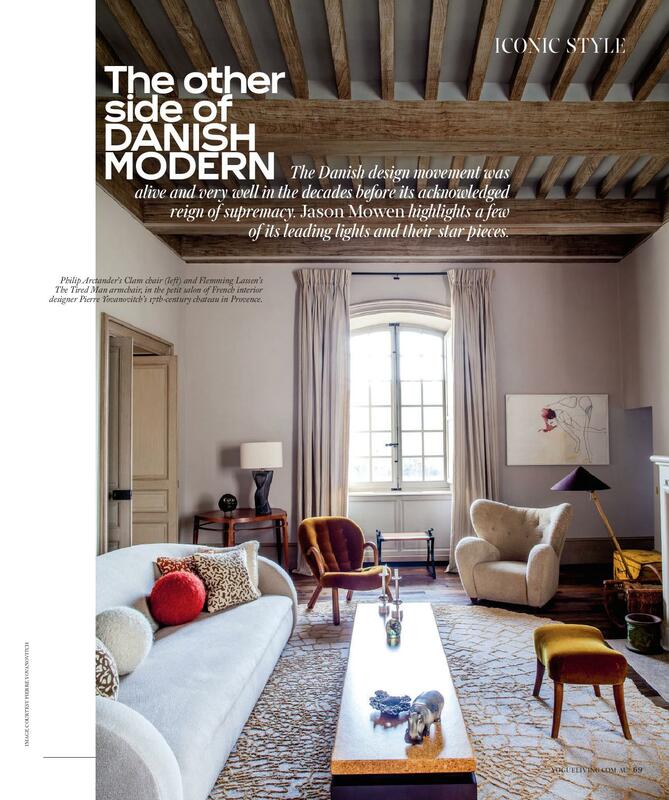 NOTHING IN THE VOCABULARY OF 20TH-CENTURY DESIGN is quite so reductive as ‘DanishModern’, a phrase that conjures images of retro-looking armchairs, teak sideboards and ceramic table lamps, many of which are not even Danish. Whether it is the result of poor geographic knowledge on our part or the enduring legacy of Denmark’s prolic design output during the 1950s and ’60s, a particularly golden era of Danish design from the interwar years is often overlooked. It was an era born of Modernism without mass-production and its virtue lies therein: furniture was designed and handcrafted slowly, the love child of a generation of Danish architects and the brilliant cabinetmakers with whom they collaborated. 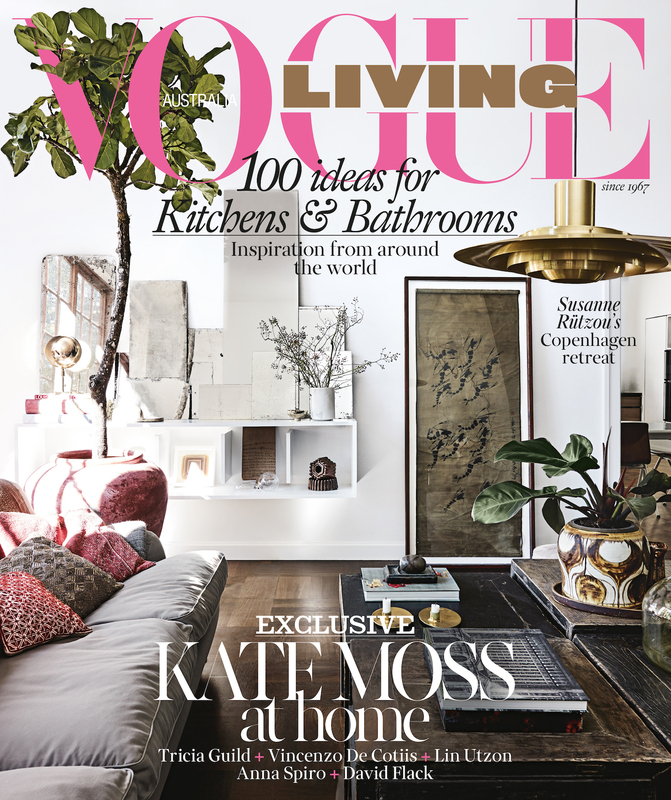 International collectors and some of the world’s greatest interior designers are once again celebrating this noble precursor to the Danish Modern we’re so familiar with today. Here is a brief (and eclectic) summary of those who forged the path of early Danish Modernism, which, in this humble person’s opinion, is one of the most elegant manifestations of all Scandinavian creativity. 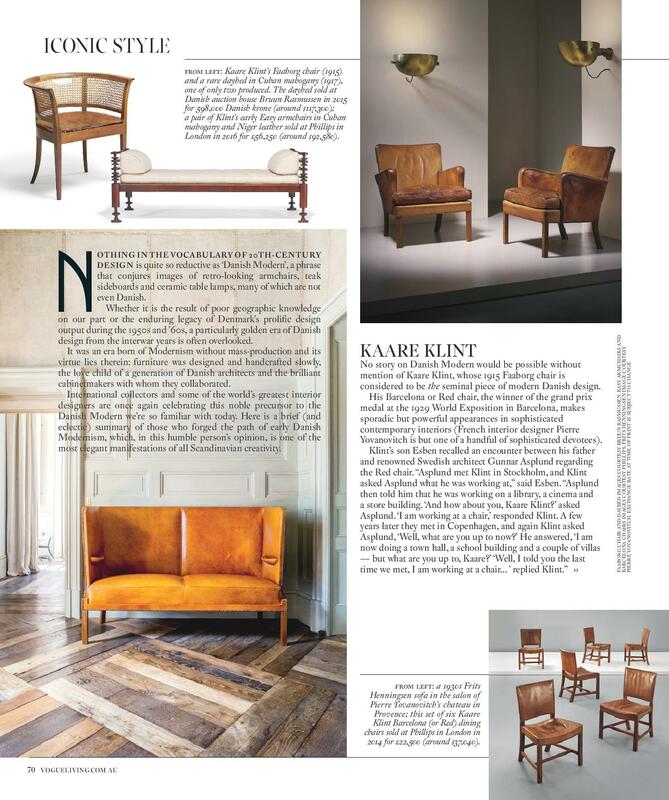 One of Kaare Klint’s earliest disciples, and later competitors, was Frits Henningsen, who also drew inspiration from 17th- and 18th-century English furniture reinterpreted for life in the 20th century. I rst discovered Henningsen and the unforgettable silhouette of his High Wingback leather chair while working for interior designer Jonathan Reed in London early last decade. Handcrafted in small numbers in the 1930s and ’40s by Henningsen himself, the High Wingback is quite simply one of the most elegant and memorable chairs of all time. One of the most mysterious pieces from this period, the Clam chair has resurfaced over the years at minor Danish auction houses. When its price began to rise in 2008, the chair was incorrectly attributed to Danish architect-designer Viggo Boesen, probably due to its similarity to his 1938 Little Petra chair. Then it was credited to a Norwegian Martin Olsen, with that attribution coming from Norway’s National Museum of Art, Architecture and Design. Following extensive research, Danish auction house Bruun Rasmussen has con rmed the chair is de nitely Danish and was designed by hitherto- unknown architect Philip Arctander. 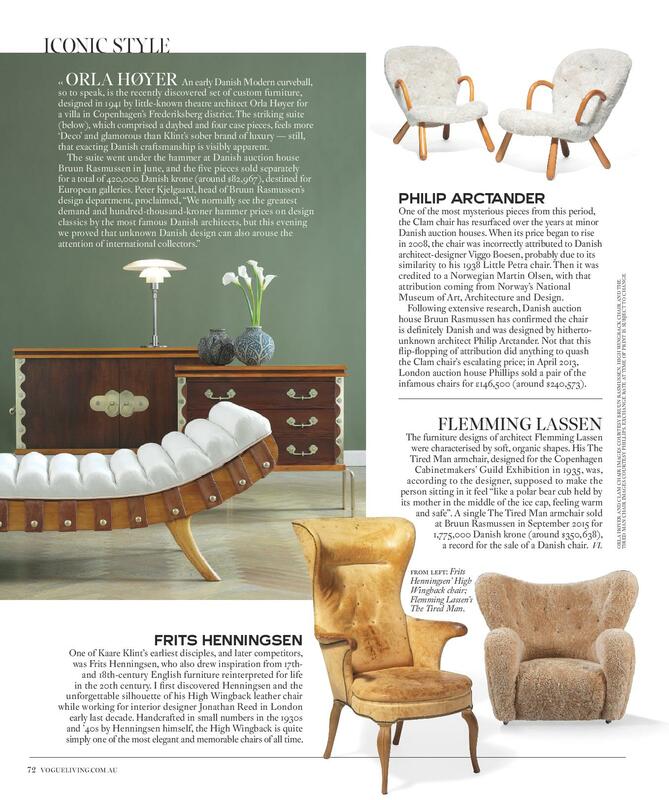 Not that this ip- opping of attribution did anything to quash the Clam chair’s escalating price; in April 2013, London auction house Phillips sold a pair of the infamous chairs for £146,500 (around $240,573). The furniture designs of architect Flemming Lassen were characterised by soft, organic shapes. His The Tired Man armchair, designed for the Copenhagen Cabinetmakers’ Guild Exhibition in 1935, was, according to the designer, supposed to make the person sitting in it feel “like a polar bear cub held by its mother in the middle of the ice cap, feeling warm and safe”. A single The Tired Man armchair sold at Bruun Rasmussen in September 2015 for 1,775,000 Danish krone (around $350,638), a record for the sale of a Danish chair.